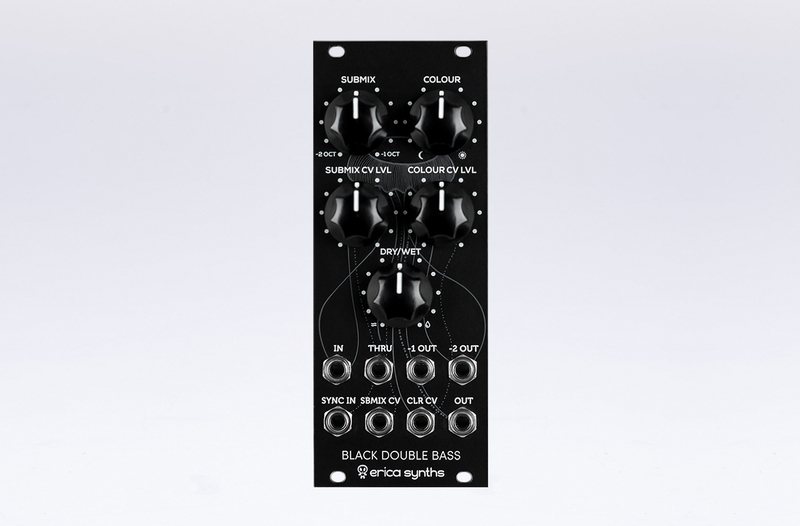 Erica Synths Black Double Bass is unique module that combines two transistor suboscillators (-1 and -2 octaves) and lowpass filter. It does not make sound on its own, but it will turn any VCO or beeper into massive bass sound with CV control over octave mix and cutoff frequency. Sync input that resets suboscillators on incoming pulse, provides even more versatility in sound design. The module can be also provide aggressive distortion, when used with percussive sounds like bassdrums. NB! Double Bass module is not an audio source by itself and needs an audio input! 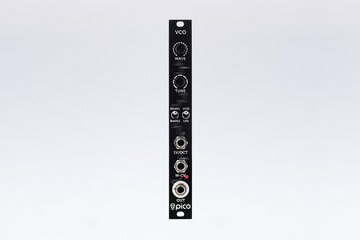 Erica Synths Pico VCO is a great, deep sounding VCO with 32 selected waves – classical, fattened with sub-oscillator, FM synth and others. 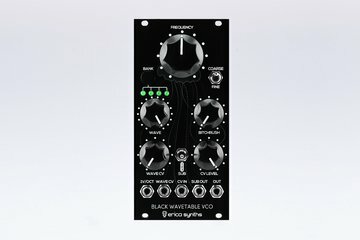 Erica Synths Black Wavetable VCO is a compact, fat sounding wavetable VCO that features 16+ banks of selected waves: classical synths, FM synths, Erica modular, vowels and others.